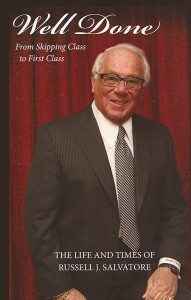 Russell Salvatore Presents “The Yule Log” Christmas Eve and Christmas Day! Click Here For The Playlist! Chris Musial, VP and General Manager of WBBZ-TV is announcing that for the fifth year in a row, Your Hometown MeTV Station will air a holiday “Yule Log” from 8p.m. Christmas Eve, through 6p.m. Christmas Day. The “Yule Log” shows video of a fireplace set to classic holiday music. The Christmas Yule Log is sponsored exclusively by Russell Salvatore, of Russell’s Steaks, Chops, and More, as his Christmas gift to the Western New York community. 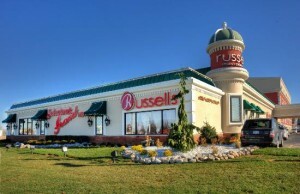 Russell’s Steaks, Chops, and More announced recently that it has been named a winner of the OpenTable Diners’ Choice Awards for Top 100 Steakhouses in America. The list of winners is derived from more than 5 million reviews submitted by OpenTable diners from more than 20,000 restaurants in all 50 states and Washington, D.C.
WBBZ-TV Creative Director Joe Maulucci has once again created a unique mix of classic Christmas songs with artists like Frank Sinatra, Mel Torme, and Bing Crosby along with hometown favorites like The Goo Goo Dolls, Lance Diamond, and Pat Shea. 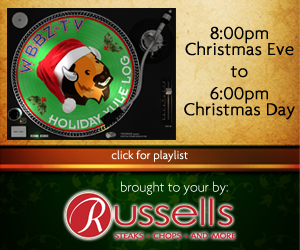 The playlist is at www.wbbz.tv below. The Yule Log was created in 1966 by Fred M. Thrower, President and CEO of WPIX, Inc. Inspired by an animated Coca-Cola commercial a year earlier that showed Santa Claus at a fireplace. He envisioned this television program as a televised Christmas gift to those residents of New York who lived in apartments and homes without fireplaces. This also provided time for employees of the television station to stay home with their families, instead of working for the usual morning news program. The program was both a critical and ratings success, and by popular demand, it was rebroadcast for 23 consecutive years. WBBZ is seen throughout Western New York over-the-air on digital channel 67.1. Ch. 5 on Verizon FiOS (HD 505); Ch 5 Dish; Ch. 67 DirecTV, and these Time Warner Cable channels: Buffalo – Niagara Falls Metro area: Channel 5 (HD 1230); Batavia – Genesee, Wyoming, Orleans Counties Channel 71 (HD 1230); Parts of Erie and Niagara Counties Channel 71 (HD 1230); Dunkirk, & Warsaw Channel 99 (HD 1230); Olean Channel 21 (HD 1230); Fredonia – Jamestown Channel 72 (HD 1230); Alfred- Angelica- Avoca- Bath- Bolivar Friendship- Hornell Channel 71 (HD 1230). “(It Must’ve Been Ol’) Santa Claus” Harry Connick, Jr.
“O Holy Night” Harry Connick, Jr.
Mercy Flight is the "Talk of the Town" Saturday 10:30a.m. Post Your Photo With Rudolph!